For those of you new to our blog, welcome! This blog is published as a service of the UC Davis Human Lactation Center located in the Department of Nutrition at the University of California, Davis. We would like to tell you how our blog works and where you can find "The Basics" of Baby Behavior, which is a great series of posts to start with if you are new, or if you haven't been around here in a while. You can begin with our overviews on your baby's cues, crying, and sleep patterns. We hope that you find the information we've provided useful. We are currently in the process of reorganizing the blog but for now, we hope you can find what you are looking for. If not, just let us know. We love to answer our readers' questions and are always accepting new ideas for future posts! Any evidence of using signs increasing or decreasing language development? As researchers and mothers, we’ve heard a lot about baby signing over the years and like this reader, we’ve wondered, what does the evidence say? While baby signing has become very popular, does scientific research support its use? The benefits of baby sign language can be a pretty controversial topic. There are many parental reports of great benefits for infants taught baby signs, such as decreased frustration and tantrums, early verbal skills, and improved infant-parent interaction and bonding, just to name a few. However, the scientific research is not as promising. The majority of studies have been small and researchers have been unable to confirm that infant signing benefits babies' language development. Limited research does suggest that babies can learn and use sign language to help them communicate prior to using spoken words, but whether or not this improves their language development is questionable. On the other hand, there is also no research that shows that signing hinders language development. There is also limited evidence showing that baby sign language improves mother-infant interactions. Here is an overview of a few of the recent studies that are out there. 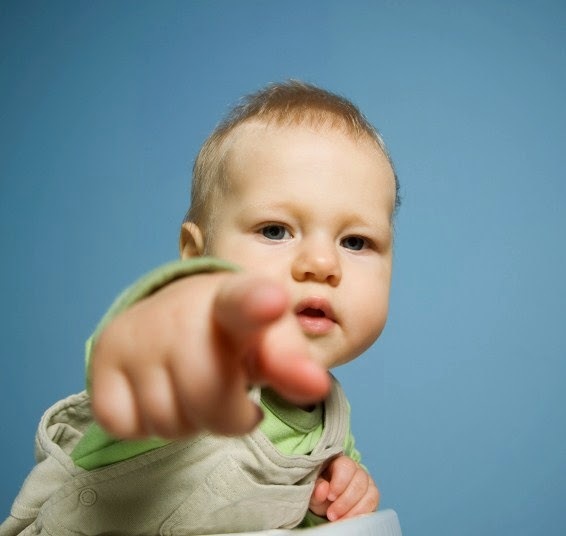 Babies first use gestures (like pointing or reaching) around 10 months of age. By the end of the first year they also use symbolic gestures like pretending to drink from a cup. A study by Kirk, et al (2013) sought to find out if encouraging the early use of these gestures or baby sign language specifically, impacted language development and infant-mother interactions. In this small, well-designed study, gesture training (signs) did not significantly improve language development. There was, however, some effect for males that scored low for expressive communication (communicating with others either verbally or with gestures) at the beginning of the study; they experienced gains in their expressive communication abilities when exposed to gestures compared to those that were not (though this analysis was only done with 3 infants so it must be interpreted with caution). So what does this mean? These results may indicate that using gesturing or sign in infants who have weak language ability (defined by a lower score on a language assessment) may improve language development later on. The second part of this study looked more closely at the interactions between mothers and infants to see if early gesturing or signing improved how mothers related to their babies and understood their behavior. When mothers relate well to their babies and understand their behavior, they have a more secure infant-caregiver attachment and later ability to understand others’ thoughts and feelings. While the study found no significant difference in maternal-infant relatedness between gesture/signing groups and those who did not learn them, there were small positive changes in the mothers’ responsiveness to their infants’ needs and non-verbal cues. A small study by Gongora & Farkus (2009) showed some improvements in mother-infant interactions, with higher frequencies of visual, tactile (touch) , and vocal mother-infant interactions, when mother-infant pairs were exposed to an infant sign language program. Vallotten (2012) examined the effects of using signs with infants in a group childcare setting on caregiver responsiveness. The authors found that, at 10 months of age, infants’ use of responsive gestures with their caregivers positively influenced the quality of care they received. They also found that at 15 months the frequency of infant signing slowed, possibly because the infants were speaking more, while variety of signs used increased rapidly. Interestingly, caregivers responded less often as signing variety increased. As variety of signs became more common, their impact on caregiver behavior slowed. Just as understanding and responding to infant cues can improve infant-caregiver interactions and lead to less parental stress, signing and gesturing may have a similar effect after 8-10 months of age when babies begin gesturing. Studies show that babies can learn and use signs to communicate with their caregivers, and this may improve communication and lessen frustration for both the parent and baby until the baby can talk. However, there is currently not enough scientific evidence to show that baby signing enhances language development or gives babies advanced learning capabilities compared to infants that don’t sign. Practicing baby sign language can be a great opportunity for parents and infants to bond and interact together. I used a few signs when my daughter was a baby, especially around mealtime, and it added to my understanding of her hunger and fullness cues. Using baby signs has not been shown to be detrimental to infant language development. Research does show that verbally labelling objects can help language comprehension, so while signing be sure to say the word out loud as well. What has been your experience using infant sign language? Kirk E, Howlett N, Pine KJ, Fletcher BC. To sign or not to sign? The impact of encouraging infants to gesture on infant language and maternal mind-mindedness. Child Dev. 2013;84(2):574-90. Gongora X, Farkas C. Infant sign language program effects on synchronic mother-infant interactions. Infant Behav Dev. 2009;32(2):216-25. Vallotten. Do infants influence their quality of care? Infants’ communicative gestures predict caregivers’ responsiveness. Infant Behav Dev. 2009;32:351-365. Since it's screen-free week, we would like to encourage you to take a week off from the constant onslaught of media in your life and spend some quality face-to-face time with your kids! For a past post with more information about screen-free week and screen-time recommendations for kids, click here. To take the 2014 Screen-Free Week pledge, click here. In the mean time, take a week off from this blog too! 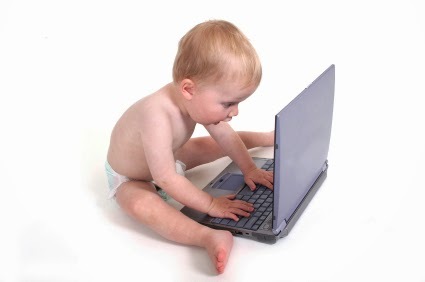 We'll be back next week with all new posts on infant communication. Let us know if your family takes the pledge in our comments section. We'd love to hear from you!